Laboratory tests can now be performed more frequently at the point of care (wards, theatres, General Practice, community hospitals, Minor Injury Units) for example using blood glucose meters, urine dipsticks, INR meters, haemoglobin meters, pregnancy testing kits and blood gas analysers. POCT tests are subject to the same levels of governance that are applied within the traditional laboratory setting, with safety and quality needing to be ensured. A multi-disciplinary POCT Governance Group will define the appropriate level of governance required within the service. 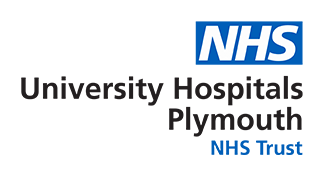 The Pathology POCT team based in the Combined Laboratory of Derriford Hospital, provides a Clinical Pathology Accreditation (CPA) accredited service to sites performing POCT tests in the acute and community setting. The POCT team will support the introduction and monitoring of POCT equipment in the acute trust. Where arranged through service level agreement (SLA) the team will also support equipment placed in the community. Regardless of the setting, the point of care user will be responsible for the general upkeep, condition and availability of the equipment. The team is available between 09.00hrs and 17.30hrs Monday to Friday and can be contacted on exts. 33327, 33328 . All equipment and consumables are sourced in partnership with the Peninsula Purchase and Supply Alliance (PPSA) at a competitive price. This will include equipment and consumables selected through European tender processes. Some equipment is provided free of charge within the contract and others must be purchased or rented by the point of care site. A major benefit of this element of the service is standardisation of testing across the sites providing POCT tests. Other benefits include Managed Service Contracts (MSC), Managed Equipment Services (MES) where appropriate so that risk is shared with the suppliers. Contracts also incorporate equipment refresh, so that the service keeps up with advances in technology. Where a service contract with the supplier is required to ensure the reliability of equipment, the appropriate level of cover will be determined by the team. Once the SLA is signed and the equipment has been selected and procured, the POCT team will co-ordinate the installation and verification of the equipment at the point of care site. Where applicable, results will be electronically sent to an appropriate database or held locally in paper or electronic form as defined in the agreement. An appropriate quality control program will be established for each test within the service, including the selection and storage of appropriate quality control material, frequency of testing, completion of control record logs, and action to be taken in the event of quality control failure. The site will also agree to enrolment in a recognised external quality assurance (EQA) scheme, arranged by the POCT team, and agree to comply with the standards of performance. The POCT team will provide statistical analysis of ongoing performance for each applicable EQA scheme. All of our testing is carried out by trained personnel, our training courses cover the transport and care of samples and the process of assuring that samples are fit for testing. We have access to a clinical team to discuss unusual results and advise on special circumstances. The Pathology POCT team will perform regular audit of the service and feedback to the site regarding performance the frequency of which will be agreed with the site. This will include the audit of quality control data. Corrective and preventive action will be generated by the POCT team and recorded in a quality management system. Audit findings will be sent to a contact at the site as defined in the SLA detailing actions to be undertaken within a specified timeframe. All documentation will be supplied as part of the service. This will include the Point of Care Testing Policy, POCT Training policy, POCT Audit policy, Standard Operating Procedures, Quick-guides, Quality Control Record books, Reagent log sheets, Maintenance log sheets, Health and Safety documentation such as COSHH data, training documents and a defined system for reporting clinical incidents. All documentation will be version controlled and reviewed regularly by the POCT team. Guidance will also be given regarding the retention of records such as patient results, quality control data and maintenance information. Open Internet Explorer > Click on Staffnet > Click on the ‘trust documents’ drop down menu > Click on/Hover over Departments [A-Z]’ > Click on ‘Point of Care’ > This selects the Point of Care Testing page. All of the most recent versions of the training documents and policies are held here. Only trained operators are to perform point of care tests. Personal ID badges provide access to trust point of care devices. A comprehensive training program will be established with the site to include face-to-face training and ongoing competency assessment of staff. Training may be delivered by POCT team members, supplier’s training specialists or designated link trainers at the point of care site. Competency tests can be provided electronically or in paper format. Within the acute trust staff will be assessed through eLearning using the trust training database. HBA1C, total Haemoglobin and INR measurement. We also provide fetal-fibronectin and HIV testing in selected locations. The POCT team will help you deliver a safe service that produces quality patient results. The POCT team is available between 09.00hrs and 17.30hrs Monday to Friday (excluding bank holidays) and can be contacted on 01752 433327, 433328 or internally on extensions 33327, 33328 . The Team is ready to support your POCT governance needs.